To apply for Merit Scholarships, click here. To apply for Financial Aid Scholarships, click here. The AFSA Scholarship Program offers college aid to children of AFSA members whose parents are/were Foreign Service employees. We provide financial aid scholarships to undergraduates and academic merit awards, art merit awards, and a community service award to graduating high school seniors. The above activities could not happen without the generous bequests and donations from those in the Foreign Service community. No AFSA membership dues are used in the AFSA Scholarship Program. This robust AFSA member benefit has disbursed more than $4.3 million to 2,300 students in the last 26 years. 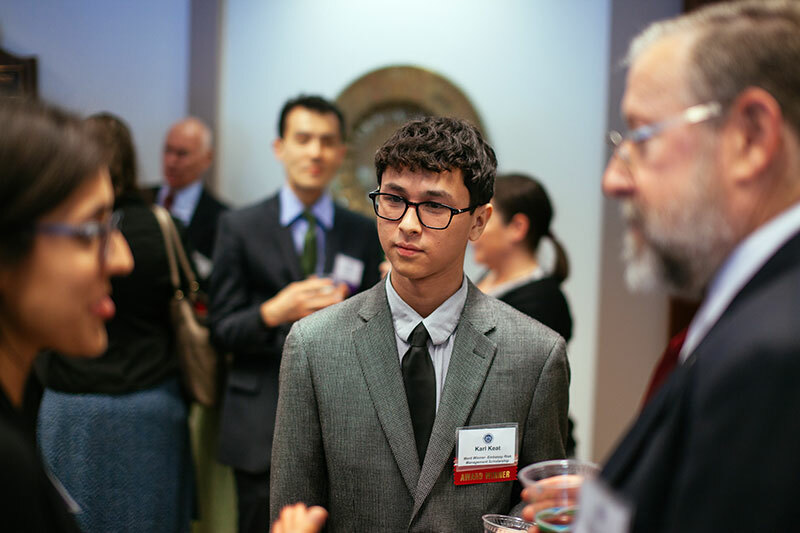 The AFSA scholarship program is open to the children of Foreign Service employees whose parents must also be members of the American Foreign Service Association. The employee may be active-duty, retired, separated or deceased. Click here for additional eligibility criteria. AFSA offers aid to high school seniors who can compete for academic and art merit awards as well as a community service award; we also offer financial aid scholarships to tax-dependent undergraduates. For children of parents who are not in the Foreign Service, AFSA offers a high school essay contest - click here for further information on that program. We are very proud of our annual student recipients. Their achievements are as varied as they are, and we enjoy following their academic endeavors and careers once we have had the opportunity to honor them. What kinds of students receive AFSA awards and scholarships? Click below to see for yourself. We strongly encourage any Foreign Service child to apply for AFSA's scholarships and awards. We are honored to recognize the leaders of tomorrow. 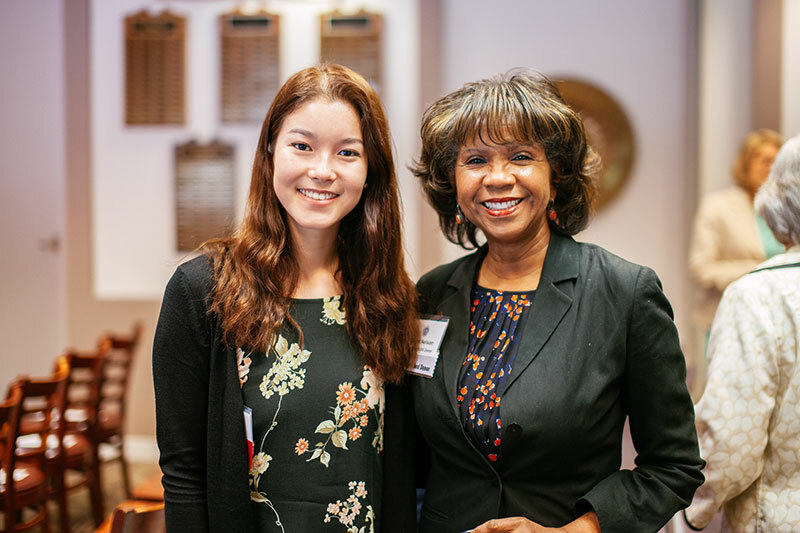 Rachel Silverman, one of our Merit Award Winners, with Gayle Nelson, representative of the Carefirst BlueCross BlueShield Federal Employee Program Award. 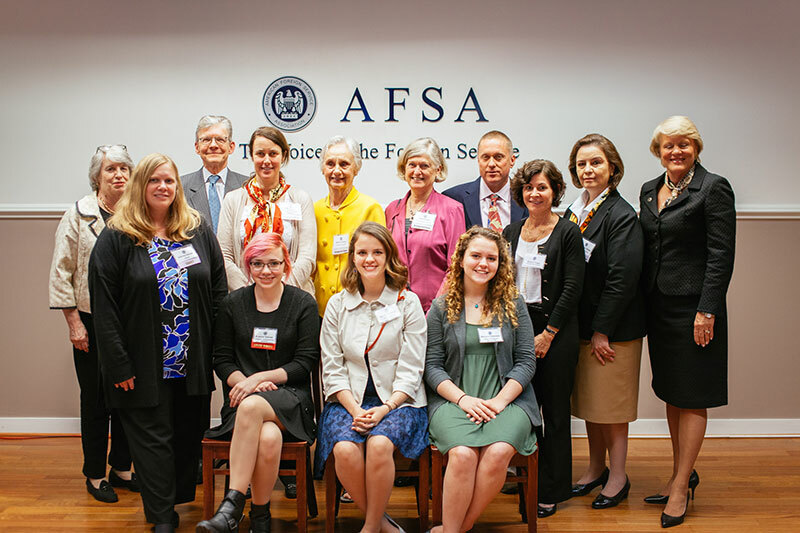 Some of the AFSA named Financial Aid Scholarship donors, family members and recipients who were present at the AFSA 2016 Scholarship Program Reception with Amb. Lange Schermerhorn (far left) and Amb. Barbara Stephenson (far right). Karl Keat, one of our Merit Award Winners, having a discussion with members of the Foreign Service community. If you have any questions about AFSA's scholarships programs, or are interested in discussing ways to support it (through bequests, donations, etc. ), please email capps@afsa.org.